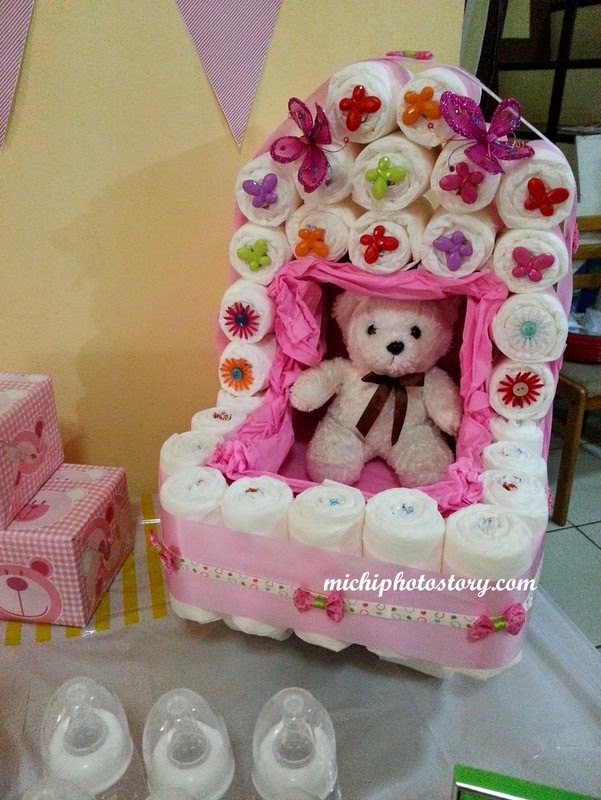 Baby Shower is a way to celebrate the approaching birth of a child where the expectant mother is showered with gifts. 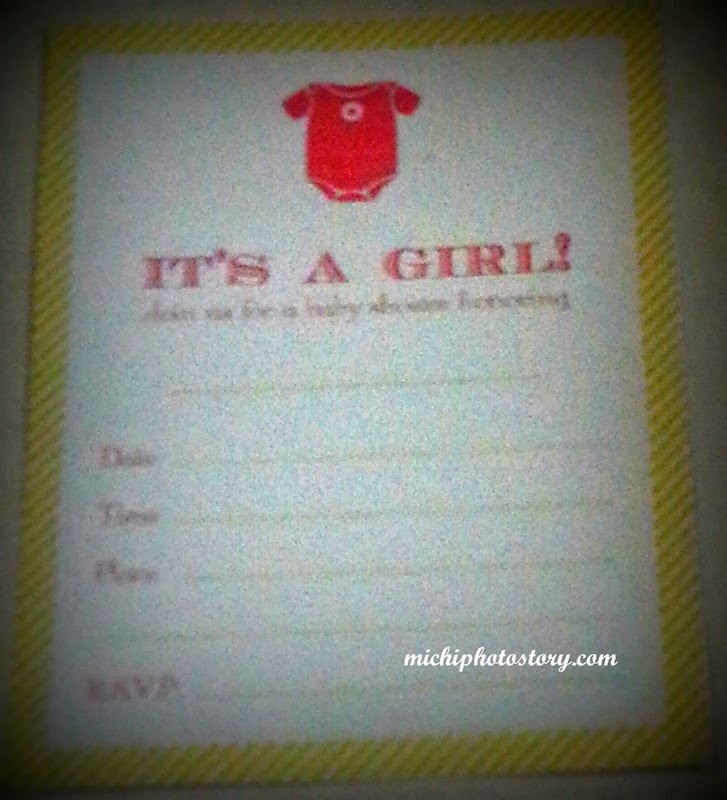 It is traditionally given to the first child of the family but nowadays parents experience more than one baby shower. Sadly to say, I’m not one of those parents because I did not experience any baby shower, I don’t have friends. Hehehe! When I was pregnant, I was planning for my own baby shower because I know that my friends will not plan something for me. 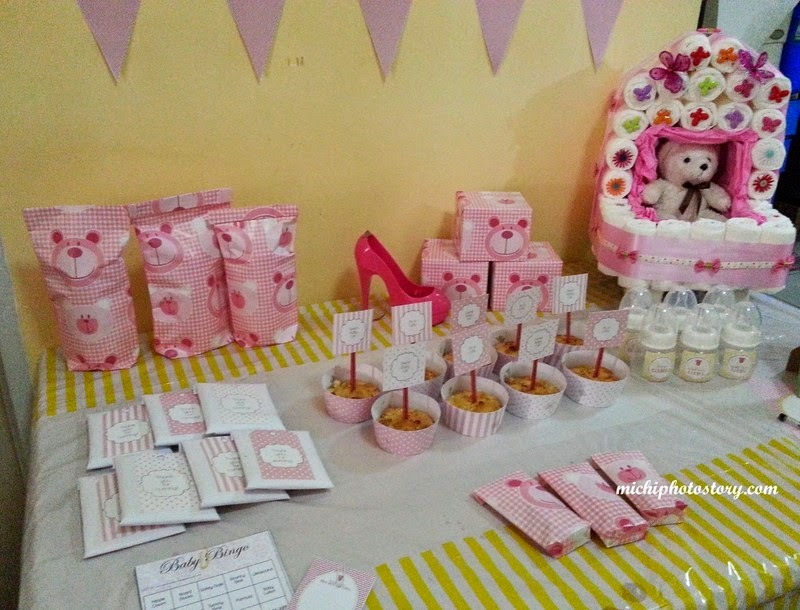 I did not have bridal shower nga so baby shower pa. Lol But it did not happen because I had Pruritic Urticarial Papules and Plaques of Pregnancy aka PUPPP but that’s another story. Moving on, when my son started going to school. I met moms who are also full time mothers like me and we became friends. 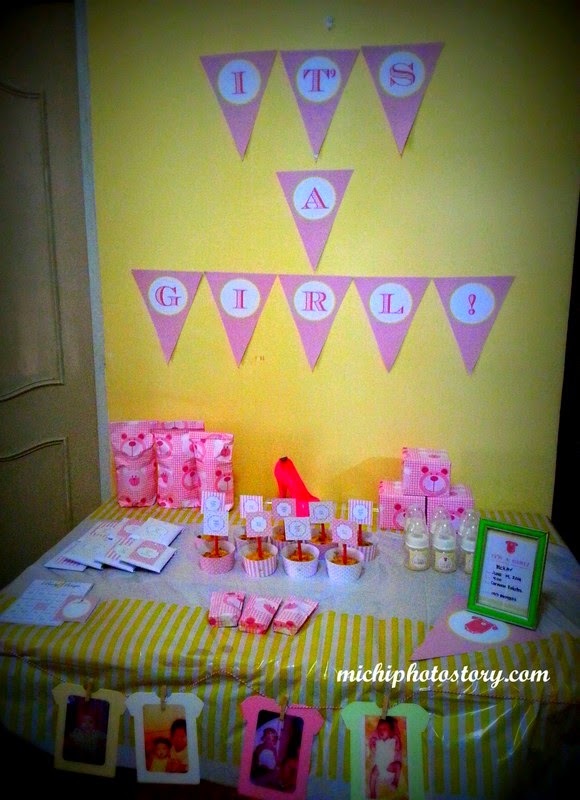 One of our mommy friend got pregnant so we decided to throw a baby shower. I asked my pregnant friend for her available schedule so we set the date, time and place. Like I said, I did not experience any baby shower so I have to research and research. It is like planning for my own baby shower. 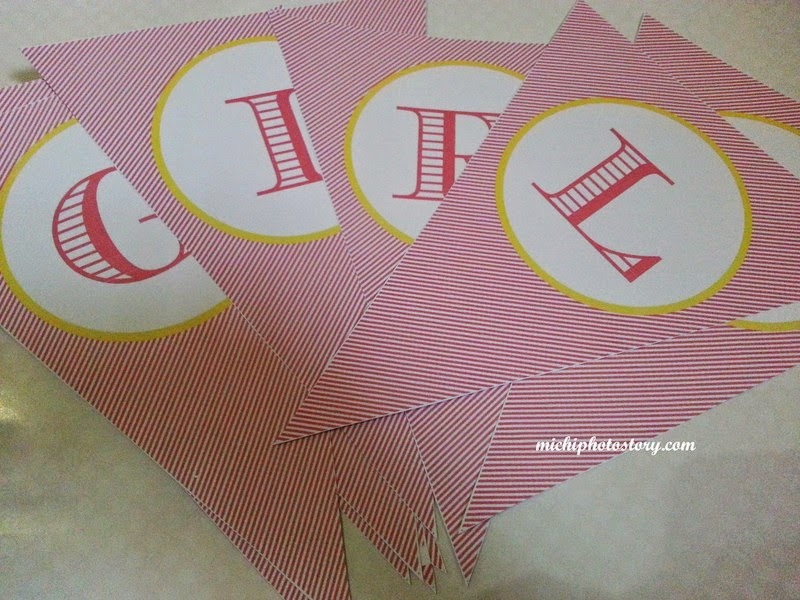 We’re only 8 moms in our group so I have to plan and prepare everything para naman may “element of surprise” pa. I sent a digital photo invitation and informed them that the event is potluck. 4. 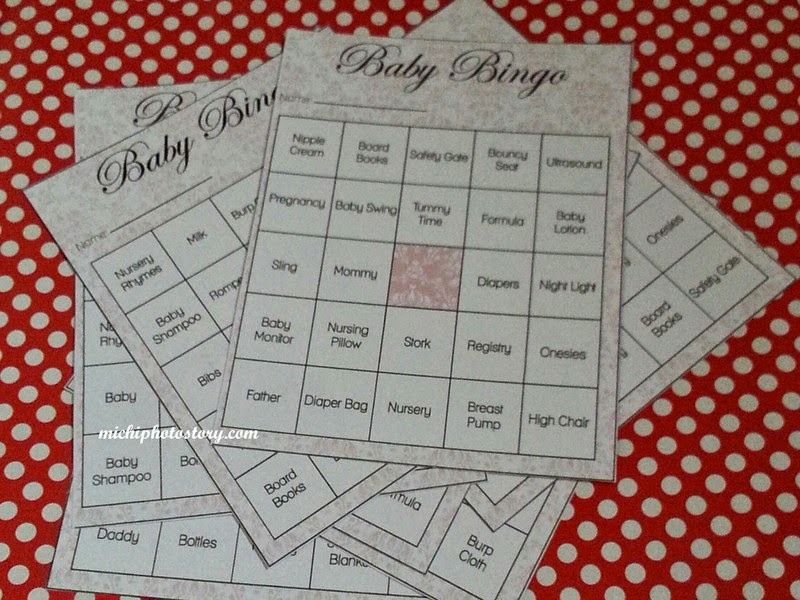 Games - I prepared Guess the Baby Picture, Baby Trivia, Bingo Game and Bottle Chugging. I asked my friends for their baby pictures so I can print it but unfortunately not all have their own baby picture. 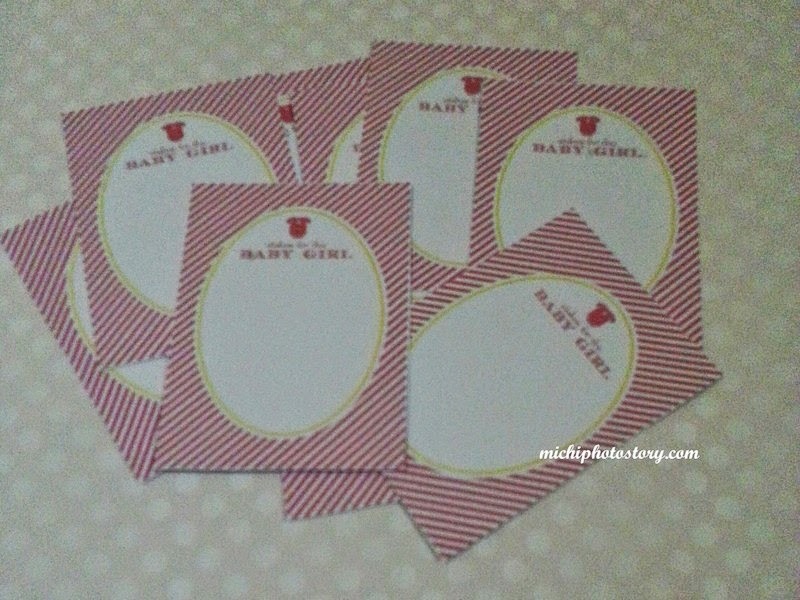 I was thankful that there are free baby shower printables so planning and preparing for a baby shower was not difficult. My pregnant friend offered to buy prizes for games. For my potluck, I brought Amira’s Buco Tart. I've never had a baby shower for any of my kids. This is the not so nice thing about the first one to get pregnant in the barkada. The other girls have no idea about baby showers. Haha! 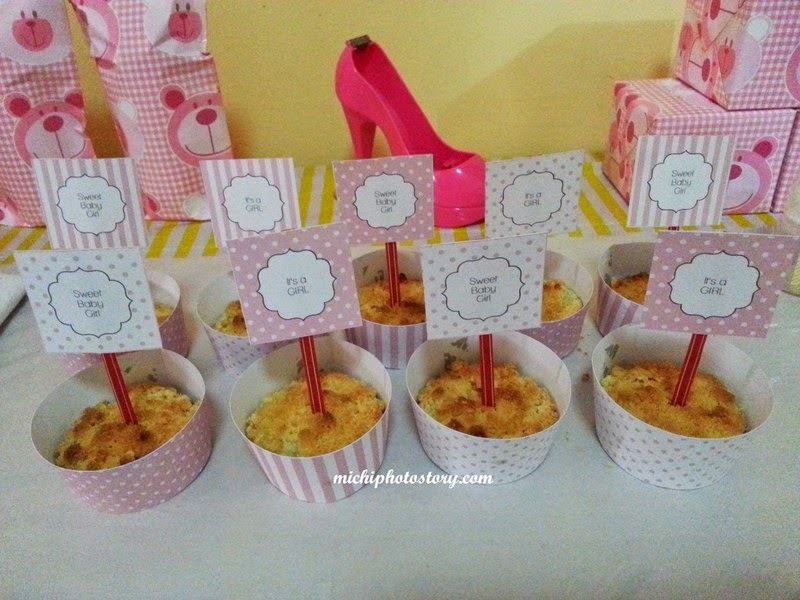 I threw myself a baby shower when I was pregnant with Little MrC. No cutesy decor tho, just good food and bonding time with friends at home. :) I love these ideas, and I will keep them in mind for if/when I have baby#2. 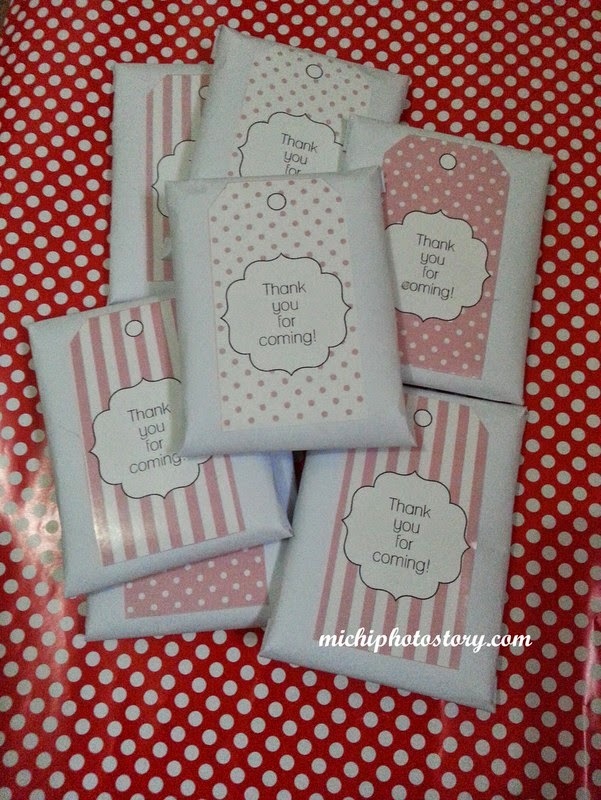 You are so sweet to plan a baby shower for your friend. I think you did a great job. That's also my problem! I know no one will throw me one before, so I tag-teamed with my MIL and had one at their place. I think it's because my friends are still 'young' and single (not married) so they don't know what to do with these things. Swerte nila when it's their turn, they have me! :D So sweet of you to organize this, even if you didn't get yours! During these times, DIY-ing your kids' special celebrations are becoming a viable option. It's more personal and cheaper! That's so sweet of you to organize. Love the DIYs! 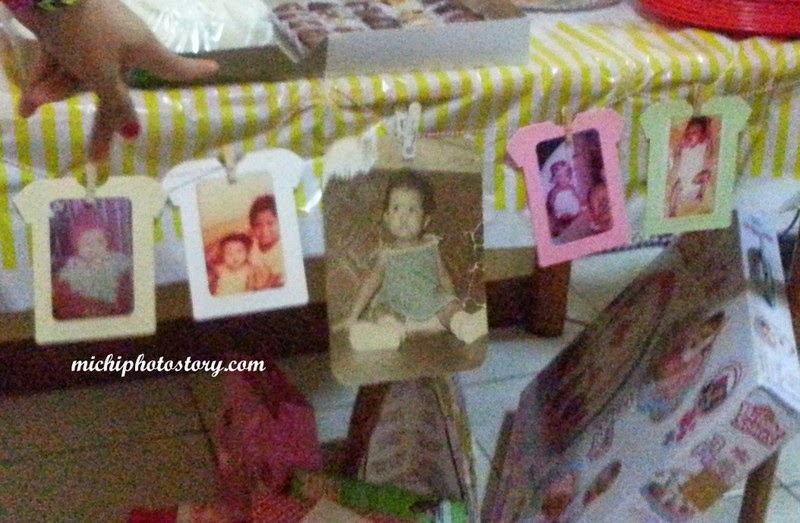 Great Job on this baby shower!